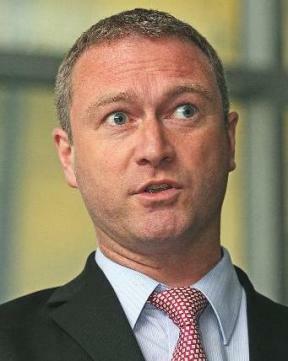 Steve Reed OBE, the MP for Lambeth South, has lost the support of some of Croydon’s trades unionists, with one group promising to stand a candidate against the Bliarite “New Labour” advocate at next May’s General Election. The Trades Unionist and Socialist Coalition, TUSC, has taken issue with the latest Reed defence of his record when he was leader of the so-called “co-operative” council in Lambeth, where long-term housing co-operative tenants are being forcibly evicted by the Labour-run council. The New Statesman covered Lambeth Council’s compulsory evictions with this article earlier this year. It may be no more than coincidental that in charge of Lambeth’s housing policy since May’s local elections is Gipsy Hill councillor Matthew Bennett, whose day-job is as head of office to… Steve Reed OBE. The Sutton and Croydon branch of the TUSC has written: “Steve Reed, ‘One Nation Labour’ MP for Croydon North, is on a mission to introduce ‘outcome-focused models of public services’. In a recent article full of the very latest in management-speak he laid bare his vision for how New Labour will tackle the key issues facing Croydon residents. “His approach is based on something he and his colleagues ‘came up with’ (his words) in Lambeth. They called it the ‘Co-operative Council’. It is based on the startling insight that council services should take into account the requirements of citizens and, indeed, work with them! Whatever next? “This approach is contrasted with the old model, apparently dating back to the Second World War, where public services were driven by the needs of professionals who ‘knew best’. This, it seems, has ‘disempowered’ individuals and the community. They must therefore be ‘re-empowered’. “There is nothing even remotely new about the idea that public services should be built around the needs of those concerned, and with their involvement. Mr Reed must surely know this. This issue is not even political – it is what good public services should be about as a matter of course. It is the simple difference between good administration, and bad. “However, there is also a subtext to Mr Reed’s public service ‘model’ that reveals more about the politics on offer from ‘One Nation Labour’. “Reading the article leaves you with an overwhelming feeling that Mr Reed blames the ‘service users’ and local communities themselves for their plight. They have, he suggests, lost their self-reliance and have become ‘service dependent’ and disempowered! Because of the old ‘service model’, he says, ‘the ability to be self-reliant has been taken away’. “The so-called old model ‘professionals’ may indeed have been patronising, especially if they had had a ‘we know best’ attitude; but there is none more patronising than Mr Reed and his New Labour ‘enablers’! “But even we leave all this aside, you can’t help thinking there is more to the story. Later in the article, we discover the amazing fact that, ‘even if you’re faced with a 50 per cent reduction in the funding available to you, you can still deliver far better outcomes…’. “It is plain. The strategy of Mr Reed and his co-thinkers is to suggest that government and councils have no choices. They must simply do what they can within the expenditure cuts framework set by Tory/Liberal policy that places the burden of the economic crisis on to working people – not on to the people who caused it (on the contrary, they were bailed out…). “The plight of Croydon communities and individuals, according to One Nation Labour, has nothing to do with mass unemployment, nothing to do with zero-hours contracts, with public expenditure cuts, with poverty wages, with rising rents, with factory closures. No. The fault lies with the people of Croydon for becoming ‘disempowered’! “Labour will do (and is doing) nothing fundamental to change the way society is run. The bulk of the wealth of this country will remain in the hands of a tiny minority, for whom there is no economic crisis – and ‘Labour’ will do their bidding much as before. As for the problems of devastated communities? Sort it out yourself. And for this, we are asked to vote ‘Labour’? 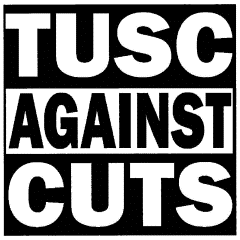 “For our part, the TUSC is very much in favour of communities taking action to solve their problems any way they can. Many TUSC supporters are already part of that. And if the local council can offer practical help, so much the better. And if they were fully funded they could deliver much more – as fully funded, say, as the privatised railways who get around £3 billion a year from the taxpayer. It is worth noting that when Reed was elected to parliament in November 2012, he polled nearly 16,000 votes, with a 11,000 majority over the Tories. In contrast, in the Croydon local elections in May, the TUSC fielded a handful of candidates and polled 385. That’s in total, between all five of them (although in one ward, Selhurst, the TUSC candidate did beat the candidate standing for the Communists). So there’s little chance of any electoral “earthquake” coming in Croydon North from the TUSC. Though Inside Croydon would offer them a word of caution. Earlier this year Reed, having just moved to a new home in Croydon, in suburban Heathfield, managed to get the Grauniad website to publish a similarly self-serving piece of (also largely re-cycled) old twaddle about his ingenious invention of the co-operative council in Lambeth. We published a critique of this article, and then received emails from the MP over the course of a weekend variously demanding that we remove the article, and by implication accusing us of libelling him. Which of course was utter nonsense. We offered to publish Reed’s comments in full, as a right of reply, and to allow our loyal reader to see just what sort of a person, and MP, he is. Reed declined our offer. The article which troubled Steve Reed OBE so much can still be found online here. We continue to consider our options over the publication of Reed’s emails. Oi! Could the Town Hall do the Lambeth Walk under Labour? This entry was posted in 2015 General Election, Croydon North, Lambeth Council, Matthew Bennett, Steve Reed MP and tagged Blairite, Bliar, Bliarite, Croydon, Croydon Central, Heathfield, Lambeth, Matthew Bennett, Member of parliament, Steve Reed, Steve Reed OBE, Tony Blair. Bookmark the permalink. It is Crystal clear that Croydon Labour moving towards a co-operative, or disaster model. The Lambethisation of Croydon must stop and the MP for Lambeth South must realise that this is Croydon not Lambeth.